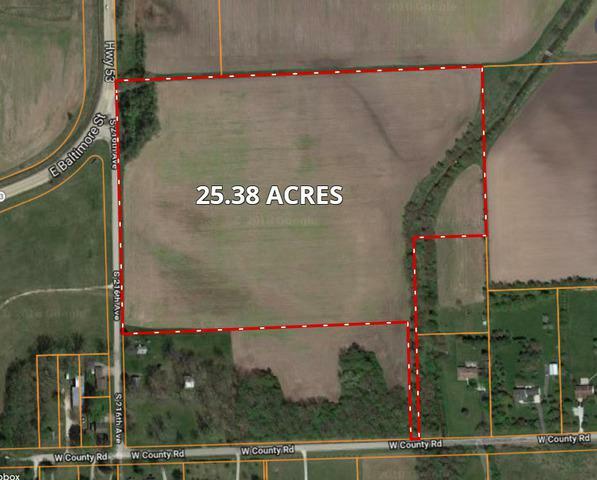 The property contains 25 total acres with approximately 24 acres tillable. The property is zoned agriculture, but the comprehensive plan for Wilmington shows commercial and medium density residential. Many potential uses, utilities are at the site.